to the escape hatch! 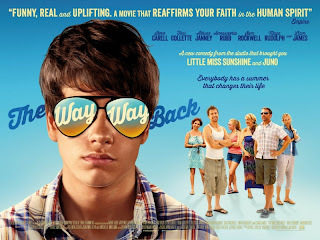 : The Way Way Back is Way Way Good. The Way Way Back is Way Way Good. I saw the preview for this movie a few months back and because I enjoyed movies like, Adventureland, Little Miss Sunshine & Submarine, it immediately landed on my must see movie radar screen. Unfortunately as it usually happens, when it was first released, it wasn’t in Jacksonville or even within 50 miles. Jacksonville we must work on getting limited release movies like other big cities, for cripes sake we are a metropolitan area of over a million people. I digress. Onto the movie. TheWay Way Back is what I thought it would be going in. It’s Adventureland meets Little Miss Sunshine and I’m perfectly okay with that. In a year where the bigger the explosion the better, it’s refreshing when a movie like this comes along to remind us that life isn’t perfect, it isn’t a minion filled cartoon and that superheroes aren’t always going to save the day. I’m not going to go into too much detail because I don’t want to spoil it for you. So here goes. Duncan (Liam James) is spending the summer at the beach with his mother Pam (Toni Collette), her new boyfriend Trent (Steve Carell) and Trent's teen age daughter. He’s not very happy about it and for good reason. This unhappiness is very evident from the first scene until about 25 minutes into the movie. James plays withdrawn, mopey & awkward so well that I almost stopped caring about Duncan, not because I didn’t feel sorry for Duncan, but because I wanted to shake him and tell him to snap out of it. However, this all changes when Duncan jumps on a pink tasseled, handle bar bicycle and finds his way to Water Wizz. The local water park breathes life into Duncan and energy into the movie. Although the story focuses on Duncan, I thought Sam Rockwell (Owen), as the manager of Water Wizz, stole the show. Owen is the ultimate slacker that lives at and “runs” the water park. Basically he’s just there with very little managing going on. Although he's a slacker, he seems to have his finger on the pulse of life and a soft spot for Duncan. He’s very likable and a boss that every high school kid would want to work for in the summer. After he finds Duncan just hanging out at the park one day, he offers him a job and Duncan, without telling his mother or her overbearing boyfriend, happily accepts. Soon Duncan's life begins to have meaning; he starts to open his eyes to new things and even gains a quiet confidence. The only downside to this “new world” is the hit that his relationship with his mother takes. Collette plays a single mother (Pam) who’s trying to juggle the attention of her depressed son with the blooming relationship of her boyfriend, Trent. She’s smitten by the new love, but starts to realize that she’s losing her son and at the same time begins to recognize some disturbing warning signs in the relationship. The more attention she gives to Trent the further away Duncan gets, until an event will wake her up to the real Trent. Pam will be embraced by all of those single mothers struggling to work the dating scene into their life as mom. Steve Carell (Trent) plays a very unfamiliar role and does it perfectly. When I first saw the trailer, Carell just looked different from previous characters he’s played in the past. He looked tan; his hair was styled differently and he's even sporting a trendy beard. This “new look” matches Carell’s character. Sorry if I offend any Trent(s) out there, but the name is so appropriate. Trent is not very likable, he’s actually a pretty big douche bag and you see that immediately after watching his opening conversation with Duncan. Throughout the movie, he says that he wants to be a “we” or a team but everything he does contradicts this. 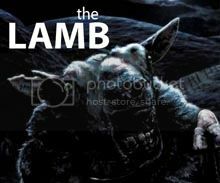 He’ll leave a bad taste in your mouth but you’ll be smiling after the closing scene. Overall it’s a pretty good supporting cast, featuring Maya Rudolph, Rob Corddry, Amanda Peet, Nat Faxon (Writer/Director) & Jim Rash (Writer/Director), but the supporting character who stands out the most is Betty, the hilariously drunk divorcee played by Allison Janney. Janney’s portrayal of Betty took me back to her role as Loretta in one of my favorite movies Drop Dead Gorgeous. Although Betty shines early, she disappointingly fades away as the movie shifts to the water park. I realize that she isn’t the central character but I still would’ve liked to have heard and seen more from her. As I said The Way Way Back is what I thought it would be. It’s funny, heartwarming and sad. It is an enjoyable spin on the old story about a young boy’s coming of age. The acting is top notch and the story is very relatable. There are a few things that bugged me, the water park ending being one of them, but not enough to make me say meh. Although I didn’t think it was as good as Adventureland or Little Miss Sunshine, it’s definitely worth seeing and certainly deserves an Open Hatch.